How to stream with Hauppauge StreamEez-Pro Hardware encoder. 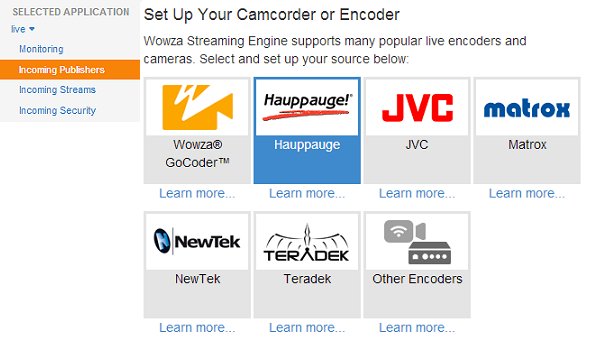 In order to connect the StreamEez-Pro encoder you firstly have to open its Dashboard, and from "Streaming Service:" select Wowza Streaming Engine. 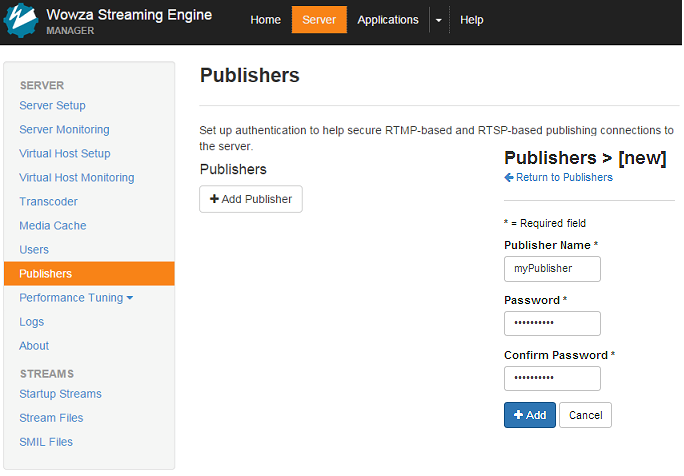 To continue we must now login to your Wowza Streaming Engine Manager and go to "Server" and from that tab select "Publishers" and click on "Add Publisher", Input the publisher name and password information and then click Add. Please note that the name and password values are case-sensitive and can only contain alphanumeric characters. 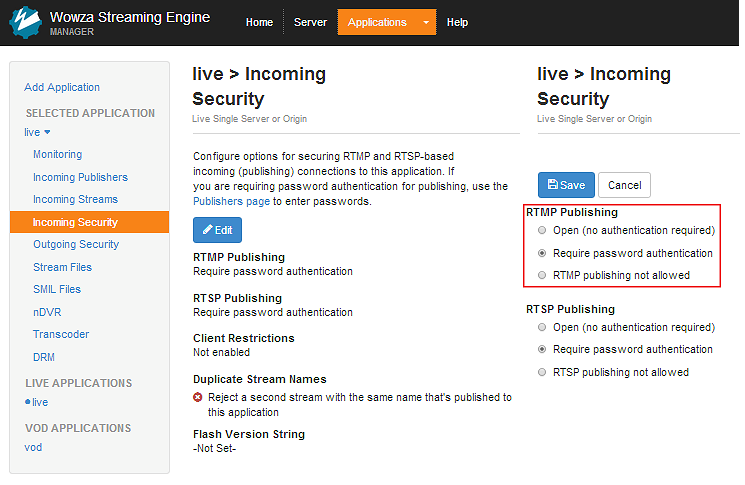 The Wowza Streaming Engine prefers that publishers to have RTMP Authentication with publisher name and password to connect to the live application in order to secure the connection. In order to manage incoming security settings we have to go to to the "Applications" tab, select "Incoming Security" and click on "Edit". Now we can connect our StreamEez-Pro. From the "Applications" tab select from the live application "Incoming Publishers" and click "Happauge". Click the Download button to download the connection settings in a configuration file named hauppauge.xml. 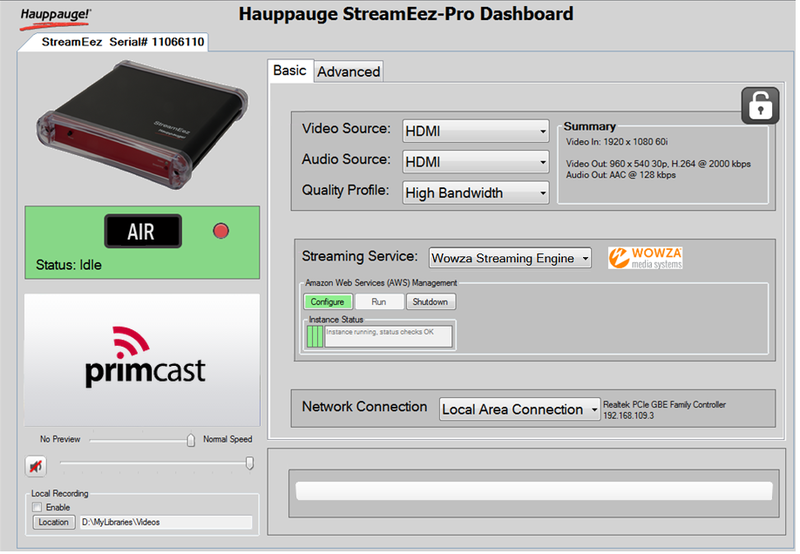 Copy this file to the computer that has the StreamEez application for your computer is installed, after doing so, in encoder dashboard, verify that you have selected Wowza Streaming Engine, then click on "Browse", locate and open the "Hauppauge.xml" file.